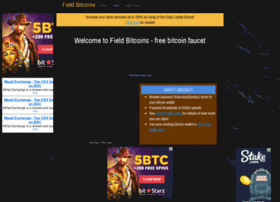 Field Bitcoins is a bitcoin faucet with a difference...YOU decide how often to claim! Instant and weekly payment options. 30% referral commission.